Clark, Pampanga — The Department of Health (DOH) lauded the Members Church of God International (MCGI) during the 1st Central Luzon Recognition for Outstanding Blood Program Implementers and Stakeholders held on February 3, 2016. The Bulacan and Nueva Ecija chapters of MCGI were recognized for their quarterly mass blood donation drives, which the award-giving group said were among the most active and supportive non-governmental organizations (NGO) in the region. Bro. Ricardo Erese, Helper of the Ministry, received the award in behalf of MCGI Overall Servants Bro. Eli Soriano and Bro. Daniel Razon. 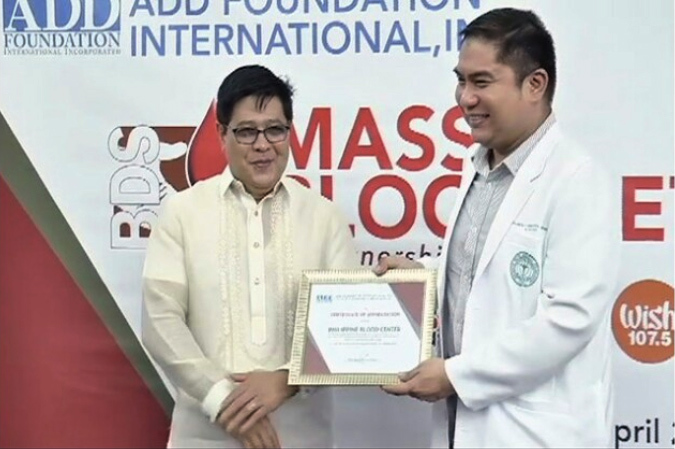 “Thanks be to God for this opportunity that [the DOH] has recognized the efforts of The Old Path for its mass blood donation efforts,” expressed Bro. Erese. The award was given in recognition of organizations and agencies that continuously support the programs of the DOH. 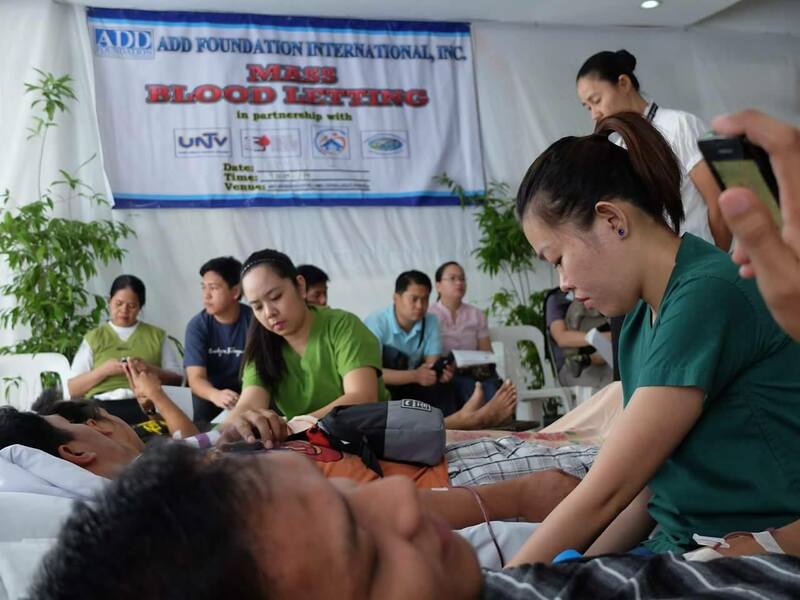 The MCGI blood drives being conducted in Bulacan and Nueva Ecija are part of the organization’s regular blood donation campaign nationwide every quarter. Paulino J. Garcia Memorial Research and Medical Center (PJGMRMC) – DOH Blood Bank Head Director Dr. Emedita Reyes applauded the efforts of MCGI, which is known locally for its award-winning religious program Ang Dating Daan (The Old Path). Reyes also mentioned the PJGMRMC-DOH Blood Bank’s accomplishment, with the aid of MCGI’s blood donation program. Meanwhile, the town of San Luis, Pampanga also received an award for supporting the DOH’s advocacy, which in turn, benefited their residents. “It is a big thing, because if we have a compatriot in need of blood, there is blood that is reserved for us, and is immediately available,” said San Luis, Pampanga Mayor Hon. Venancio S. Macapagal. 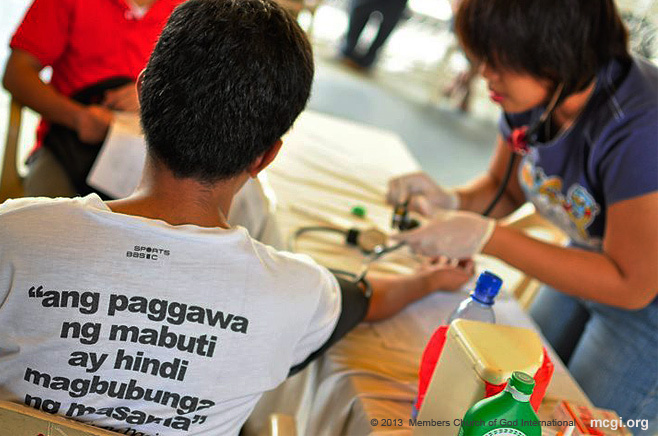 Blood donations are beneficial for indigent patients according to the DOH, which expedites the process of their blood acquisition with no charge. MCGI’s Overall Servants Bro. Eli Soriano and Bro. Daniel Razon spearhead the Church’s quarterly blood donation drives across the Philippines, and in various countries such as the USA, Singapore, Australia, Africa, and nations in Latin America.